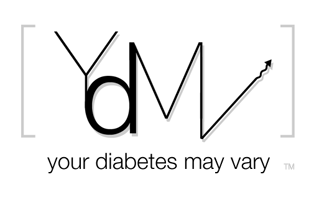 Your Diabetes May Vary: #TwoBits from Industry. Glucagon Training App and Bayer Meter Talks to Medtronic Pump. #TwoBits from Industry. 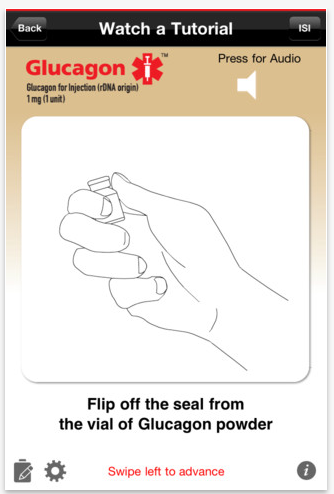 Glucagon Training App and Bayer Meter Talks to Medtronic Pump. #TwoBits of news today. I use to call this stuff From the News Wire! Bayer and Medtronic have a press release out today announcing the Contour Next Link. Think Bayer USB that connects to a Medtronic meter - except this is charcoal grey not black. It uses new, improved and more accurate strips. I hope to read up on the more accurate part at a later date. I will be back when I do. Mean time read Riva. 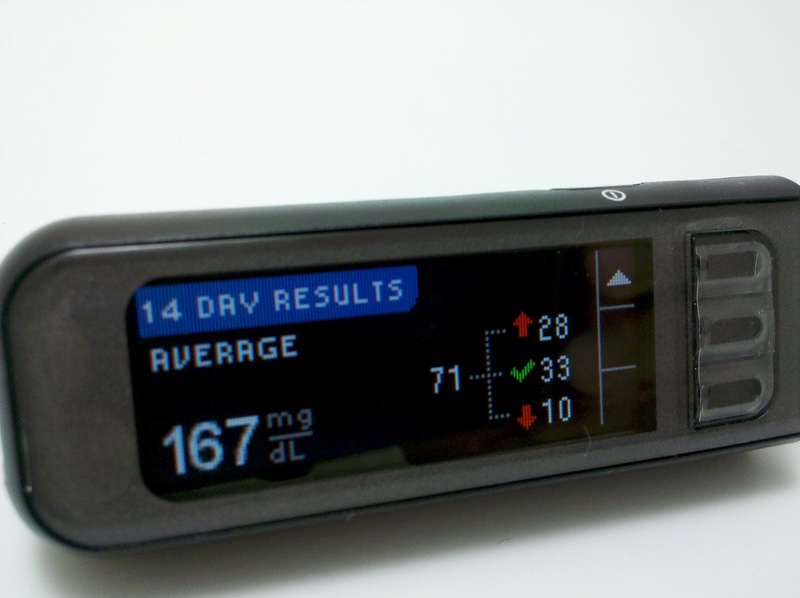 Medtronic, Inc. (NYSE: MDT) and Bayer HealthCare today announced that Bayer’s CONTOUR® NEXT LINK, a new blood glucose meter, is now available in the U.S. with Medtronic’s compatible integrated diabetes management systems. Bayer’s new meter provides exceptional accuracy utilizing high-performance CONTOUR® NEXT test strips, helping optimize insulin delivery through wireless communication with the MiniMed® Paradigm™ REAL-Time Revel™ insulin pump and the MiniMed® Paradigm™ REAL-Time insulin pump. People with diabetes can have greater confidence that seamless integration with Medtronic’s Bolus Wizard® makes bolus calculations quick and easy, eliminating inaccuracies due to manual entry errors. This will be available to new Medtronic pump users starting now. The expectation is that existing customers can get it over the "next few months." I think you should look for the Bat Signal or a message from Medtronic in January. Starting today, new Medtronic customers will receive CONTOUR® NEXT LINK with any new pump order. Existing customers will be contacted by Medtronic and provided with new meters over time, beginning in January of 2013. Lilly Diabetes today announced the release of a new mobile application designed for caregivers and healthcare providers who support people with type 1 diabetes. The Lilly Glucagon Mobile App is a tool to teach how to use Glucagon for Injection, through simulated practice. Thanks for the updates, Bennet. We'll have an expanded post in the morning on the Medtronic/Bayer meter, with some additional details. Let us know what you think!